We all dream of starting our own business. However startup costs and red tape can be a headache and for some of us, we just can’t afford to take the risk. If you’re thinking about taking the leap of owning your own company, consider bathtub, tile, and countertop refinishing. Let’s breakdown the advantages, startup costs, and supplies for starting your own refinishing business. With all of that being said, starting your own business usually has some sort of startup costs and training before you can get off the ground. Before starting your own refinishing business, you’ll need to be trained on how to properly refinish surfaces like bathtubs, tile, and countertops. Training is essential to getting the hands on hours needed to become a professional and sustain your business. You will also get tips about marketing your new refinishing business and how to start building a client base. Check out our bathtub refinishing training that includes two days of intense hands on training to get your ready for your business. Once you’ve had the necessary refinishing, it’s time to order the right refinishing supplies that will help you get the job done professionally. When you’re just starting out and building up your client base, you’ll likely have a small amount of supplies on hand until you determine popular colors and glazes your clients like. Once you have a good client base, you can stock up refinishing paints in bulk. You’ll also need refinishing glaze, primers, cleaners and equipment to get the job done. It’s important to choose where you get all of your supplies and equipment from carefully. Choose a company that produces high quality and premium supplies that are commercial grade. Now that you’ve gone through training and starting ordering supplies, it’s time to market your new refinishing business and begin building up your client base. Your training course should have helped with marketing your business online and off using best practices. 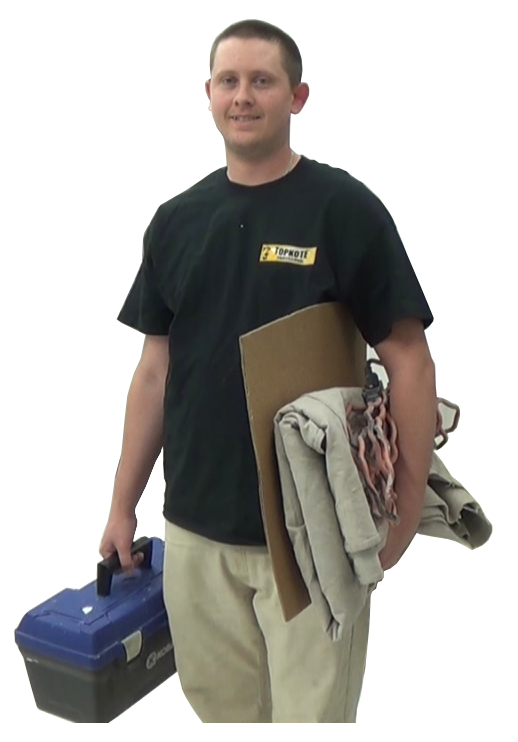 Topkote is a leader in bathtub refinishing training and supplies to start your own refinishing business. We offer a two day hands on refinishing training course that will prepare you to start your own business and be successful. Topkote is also carriers high quality, commercial grade bathtub, tile, and countertop refinishing supplies and equipment for your business.